I am proud to announce to you the final product of PROJECT TARDIGEN. 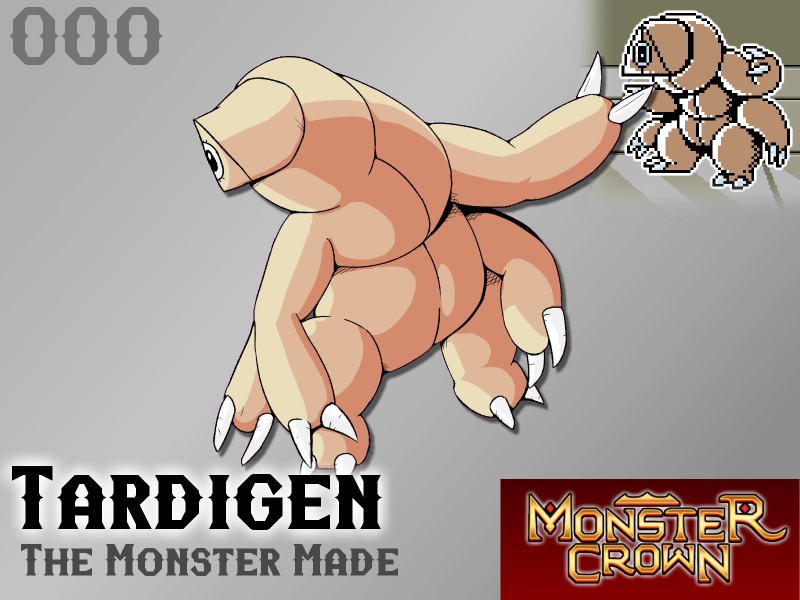 The monster we created, known as Tardigen, was born this week. Preceded by her prior development series: A, B and C, we're very satisfied to say that the project has left beta and is now production-ready. For comparison, using the common Laz (Apo Lazarus) for reference. Laz's body is in the 90th percentile of durability amongst common natural monsters. Upon testing, a Laz no older than four weeks was found to be completely obliterated upon reaching pressures of 500 PSI. The production Tardigen, however, can be found leisurely lounging with no signs of physical distress at over 5000 PSI. The creature exhibits no compromised vitals until pressures of 8000 PSI are reached. Due to growing concerns of criminal activity on Crown Island we've decided to enact several anti-piracy features lest the project fall into the wrong hands. If Tardigen is stolen without proper authorization it will quickly transform into Tardigen: VIRAL, a transformation which is permanent at the cellular level and cannot be reversed. Thank you for all of the efforts and resources each of you generously allocated to the project over the past three years. Wow... what did that Laz ya squished ever do to you...? Then after that, if I encounter this dude & he seems like a ok chill Monster, i'm totally amicable to having him in my Team... though that VIRAL FORM threat could be a bugger... I wonder if there's any Monsters out there that could aid me with such a problem...? Hm... I wonder what the viral does if you breed with it? Especially with some other diseased Monster... risking Global Extinction is a small price to pay for the possibility to get a stronger Monster!